It’s hard to describe what we experienced at this year’s conference. 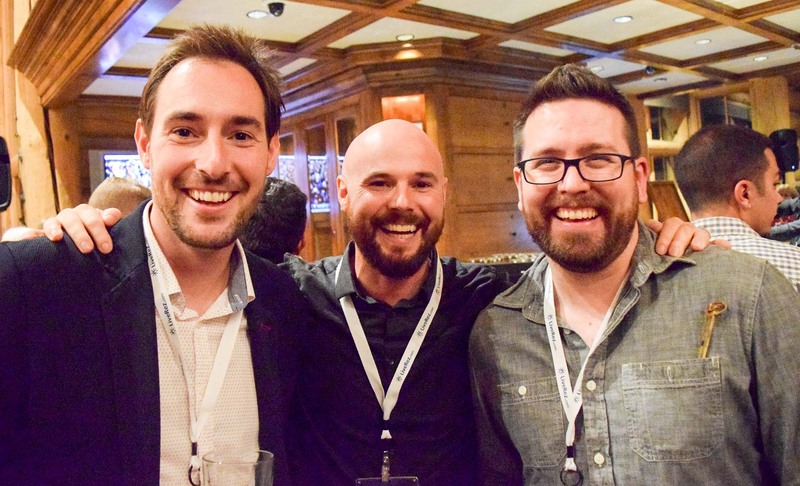 It was so much more than just a technology conference. It didn’t feel like business; it felt like family. 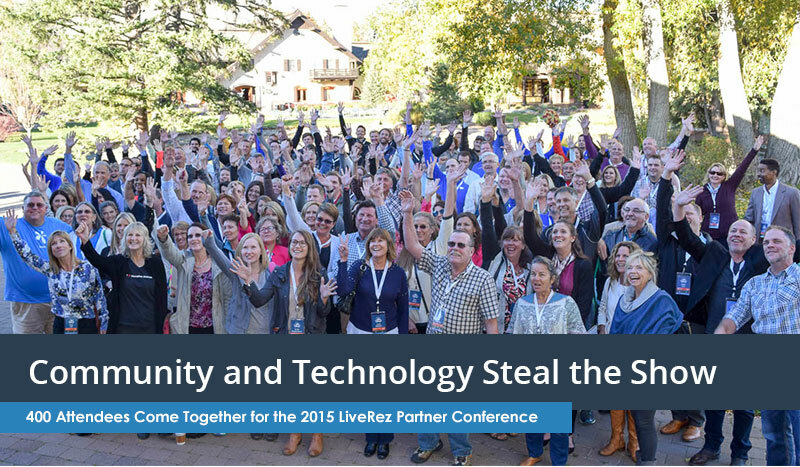 Sometimes it’s hard to describe the concept of partnership that drives LiveRez, but for the past two years at the partner conference, we didn’t have to say anything. You could just feel it. In the following post, we’ll do our best to use words and pictures to describe what happened, both for those that missed it and for those that want to re-live it. But, words can’t do justice in describing what we felt. It was simply a transformative experience. The 2015 LiveRez Partner Conference officially kicked off with a reception at the River Run Day Lodge just south of Ketchum. Multiple shuttles were needed to transport the nearly 400 attendees to the off-site venue, located at the base of the mountains. It was truly like a big family reunion. We saw people we hadn’t seen for a full year. We connected with new friends. And, we all shared in the excitement of what was to come the next four days. A thick line of fog may have prevented both Tuesday’s MC and Tuesday’s opening speaker from landing at the Sun Valley airport the night before, but it couldn’t keep them from energizing attendees Tuesday morning. Serendipitously, when their flight was grounded in nearby Twin Falls, they (and about a dozen other partners) found their way to Sun Valley on a party bus. And, on Tuesday, they officially got the party started. 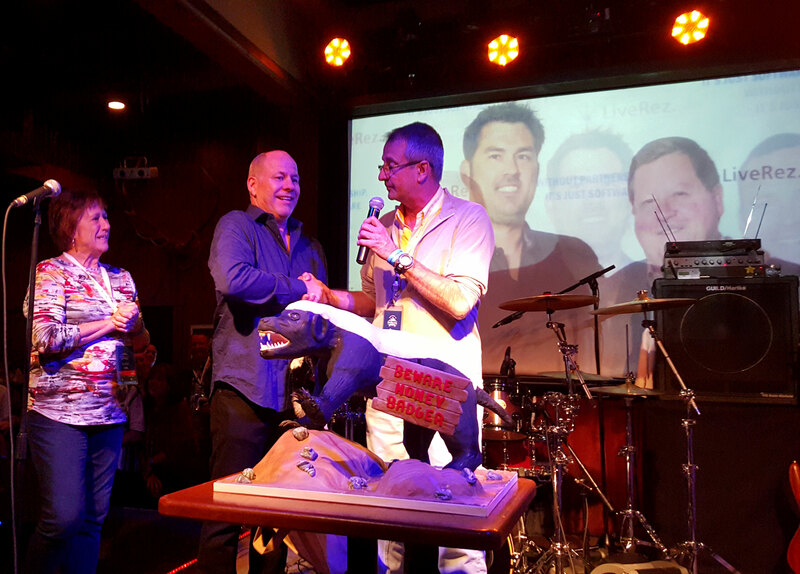 Long-time LiveRez partner Maurice Maio – San Diego’s Beach King – got the conference started on Monday. And, after the traditional prayer and pledge of allegiance which have become staples of the Partner Conference, LiveRez CEO Tracy Lotz announced his friend and Idaho native Picabo Street, an Olympic Gold Medalist downhill skier. Street’s inspiring speech focused on overcoming the odds – something she is all too familiar with as the first American woman to win the World Cup downhill season title. 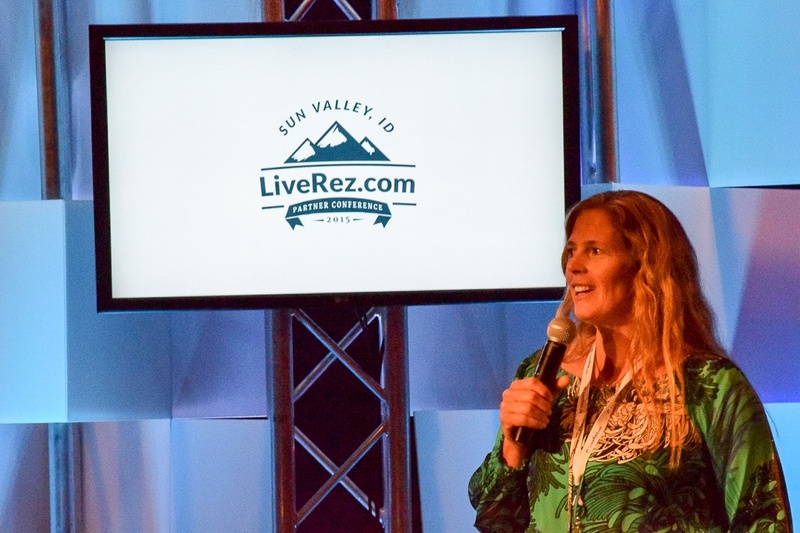 A week earlier the local Sun Valley newspaper wrote that the conference was a homecoming for LiveRez, which was founded just down the road in Hailey. But, the conference was also a homecoming for Street, who was born in nearby Triumph, ID, and frequented the slopes of Bald Mountain. In fact, after her silver medal run in the 1994 Winter Olympics, the resort named an entire ski run after her. LiveRez's Brian Sevy speaks at the Power of Community breakout session. On Tuesday and Wednesday, attendees were treated to a series of powerful breakout sessions. These sessions gave on-goers valuable information that will fuel their business growth in the coming year -- from learning how technology can transform their businesses to the announcement of a new online community and referral program to a stellar presentation from All Star Vacation Homes on owner acquisition. The breakouts also included Ask an Expert round tables that allowed partners to discuss important topics and learn from industry experts. The breakouts followed two major themes of the conference: community and technology. A big goal for the coming year at LiveRez is to really leverage the power of community within our network of partners. Through bringing our partners closer together, we can help them learn from each other, and we can better understand how we can help them through the development of new technology. That goal become evident in the very next session, the new technology showcase. After the breakouts, the entire conference moved over to the classically styled Opera House for LiveRez Live and the big reveal of the new technologies LiveRez has been developing. The anticipation was at a fever pitch as attendees lined up outside the Opera House and then packed it to near capacity. It was even more exciting for the team at LiveRez. We knew what we had in store for partners, and we were excited and anxious to finally share it. As attendees sat patiently, popcorn and soda in hand, suddenly the lights dropped, and a video – one that attendees will be talking about for years – played on the big screen. A key theme of the video is “Live.” The idea of “Live” is driving the future development of LiveRez and even pushing a new approach to our branding of new and existing technology. The short clip examines what the term “Live” means to the origins of the company, how it has driven us in the past, and what it means for the future of our solution (check it out below). 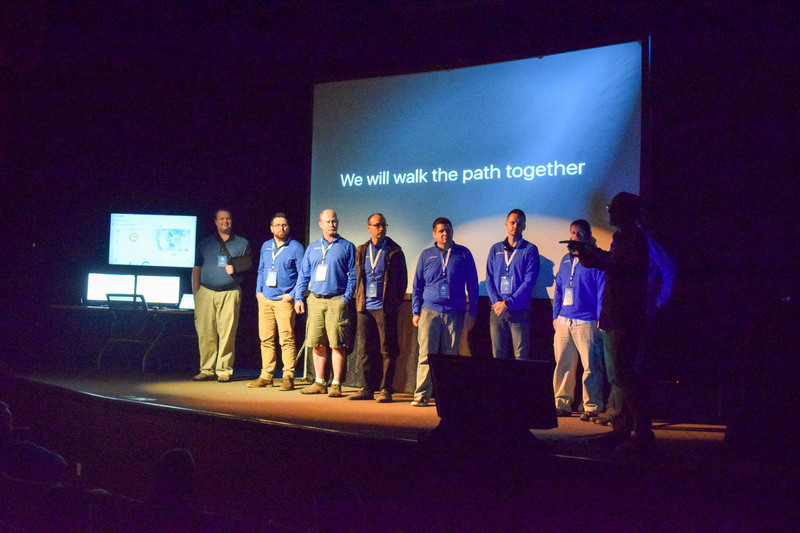 Members of the LiveRez development team stand on stage after revealing a vast array of new technology the company is about to release. Toward the end of the presentation, Sevy called the members of the LiveRez development team on stage. It was the perfect opportunity to highlight all the hard work they’ve put in over the past year. Building technology that makes a difference in the lives of partners is a real motivation for our engineering team. So, it was only appropriate that the team got to see first hand the potential impact their work will have on partners and be recognized for it. LiveRez CEO Tracy Lotz after giving STRASD another donation to fight VR regulations in San Diego. Later that evening, attendees migrated to the ballroom, where they would be treated to an unforgettable night of heartfelt presentations. LiveRez Director of Support and Implementation Tina Upson started off the night by honoring partners for both their charitable giving and their relentless fight against unfair regulations. Bluewater Vacation Homes’ Paul Becker, who is spearheading the fight in San Diego, took the stage to give us an update on the regulatory battles in San Diego. But, just as he was exiting the stage, LiveRez CEO Tracy Lotz stopped him. “We’re not done, Paul,” Lotz said. Minutes later, Lotz presented Becker and the Short Term Rental Alliance of San Diego (STRASD) with a check for $5,000 – the third donation the company has given STRASD to fight regulations. We also heard the heartwarming story of Full Circle Exchange, a non-profit social enterprise dedicated to empowering women to rise above poverty through training, education and entrepreneurship. The business is dear to the heart of LiveRez, as many of LiveRez’s team members have donated countless hours to help fulfill the vision of Full Circle here in Boise. Luttrell is one of the most sought after speakers in the country, having delivered his inspirational account to hundreds of groups around the country. “Lone Survivor” is his story of the bravery, perseverance, and dedication of four Navy SEALS who fought dozens of Taliban fighters in the mountains of Afghanistan. Securing Luttrell as a keynote was a huge deal for LiveRez, not just because of his popularity, but because of what he stands for. Throughout its existence, LiveRez has been and will remain shamelessly patriotic. For those that know the background of our CEO Tracy Lotz, they know that his success is a perfect example of the American Dream. And, he has always had a deep respect for those that risk everything to protect that dream. Luttrell is a shining example of that ideal. Luttrell’s speech took attendees through a gamut of emotions. We laughed. We cried. We smiled. And, most of all, we left the building yearning to lead better lives, inspired by Luttrell’s dedication to his friends and his country. It was the perfect cap to an amazing evening. On Wednesday morning, it was time for another partner to take over the role of MC. Just like Maio did the day before, Angie Leone of Coconut Condos kicked off the day with an impressive and heart-warming speech. 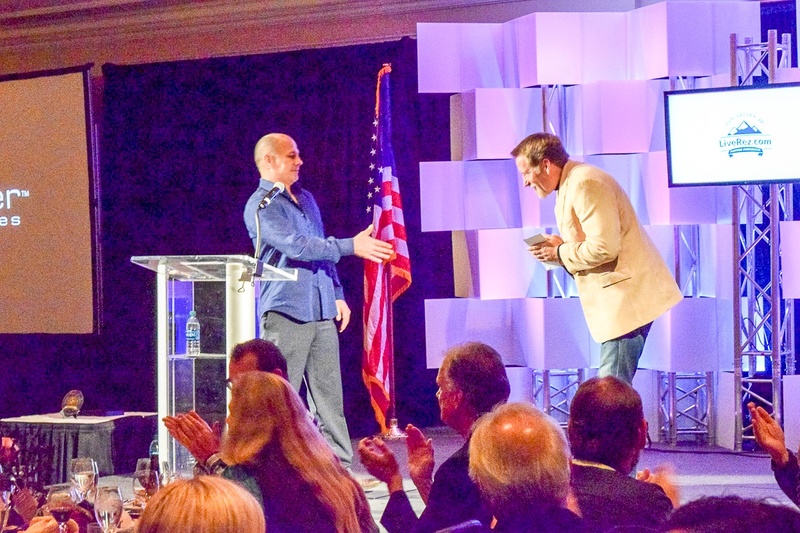 She yielded the stage to LiveRez Chief Strategy Officer Steve Trover, a past president of the VRMA and CEO of All Star Vacation Homes. Drawing on his incredible depth of experience, Trover spoke about the history of distribution efforts in the industry and how both he and LiveRez CEO Tracy Lotz were first approached by Airbnb about a partnership. It was a perfect segue to the day’s special guest: Airbnb’s head of global vacation rentals, Shaun Stewart. Airbnb's Shaun Stewart tell how the company choose to partner with LiveRez. 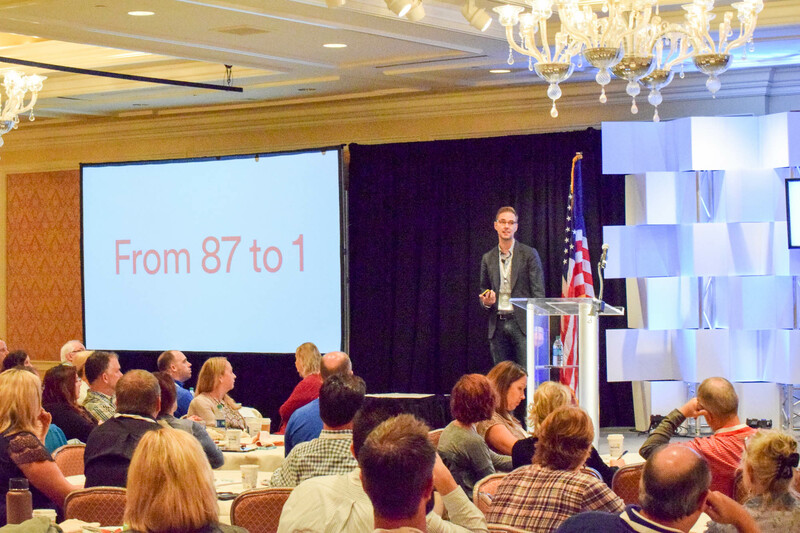 Stewart’s keynote address focused on the future of the vacation rental industry. 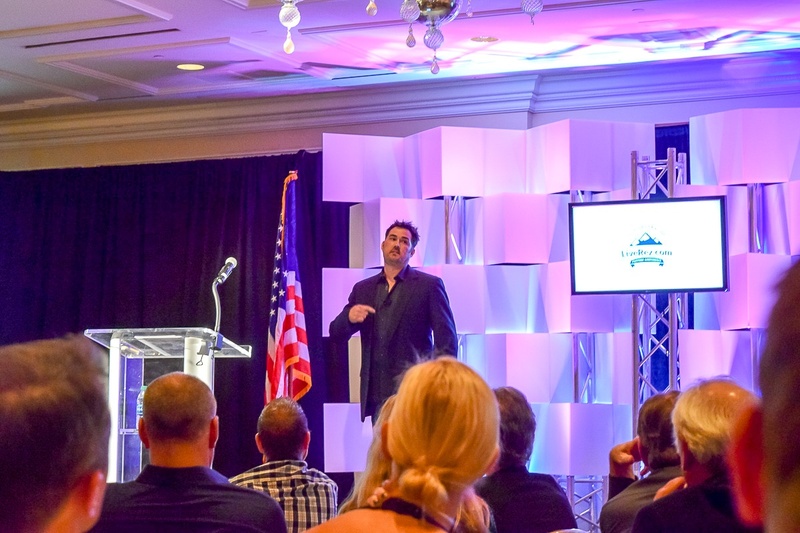 You could feel his vast industry experience as he talked about the history of the travel industry and shared his vision of the future of the vacation rental industry. An Ivy-league grad, Stewart is a rising star in the travel industry. In just his mid 30s, he has already played key roles for major travel industry players such as Expedia, TripAdvisor, Travelscape and Jetsetter, and was recently chosen by Airbnb to lead their expansion into the professionally managed vacation rental industry. In his address, Stewart talked about Airbnb’s pilot program into the traditional vacation rental market and hinted at the company’s future plans to make a big splash in the industry. LiveRez and its partners will play a big role in this push. According to Stewart, Airbnb researched more than 80 property management software providers in North America, and choose to pilot a direct integration with just one, LiveRez. In addition to Stewart and Airbnb, partners had an opportunity to hear from many of LiveRez’s industry partners throughout the conference. Platinum Sponsors VacationRentPayment and CSA Travel Protection shared information and took questions live on Tuesday and Wednesday, and Silver Sponsors PointCentral and Beach House Logos spoke before the breakouts on Wednesday. All four sponsors were readily available for questions and product demos throughout the entire conference. Ron and Judith Hemstreet present CEO Tracy Lotz with a honey badger cake. Wednesday evening closed with an epic party in downtown Ketchum at Whiskey Jacques. If you’ve ever been to a LiveRez event, you know that the company knows how to throw a party. This night was no different. Attendees were treated to amazing food, incredible libations and the rocking tunes of 80s cover band Pilot Error, a favorite from last year’s conference in Boise. The party even included a special custom-made “Honey Badger” cake, which was presented to LiveRez CEO Tracy Lotz by partners Ron and Judith Hemstreet of Sun Palace Vacation Homes. The honey badger theme comes from a speech Lotz gave when the company won the Boise Metro Chamber's 2015 Travel Industry Excellence Award (click here to see it). 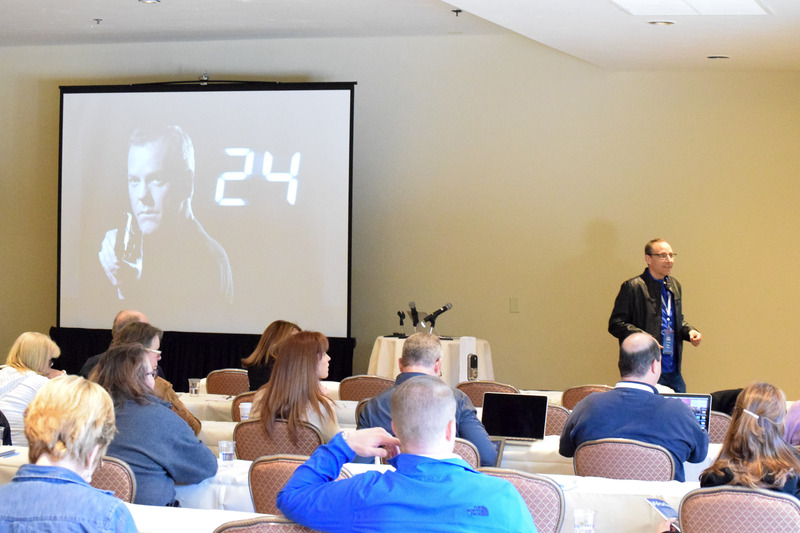 LiveRez's Brian Sevy plays Jack Bauer in the company's 24-themed workshop on housekeeping and maintenance. The conference wrapped up Thursday and Friday with a series of workshops designed to help partners supercharge their use of the LiveRez solution. 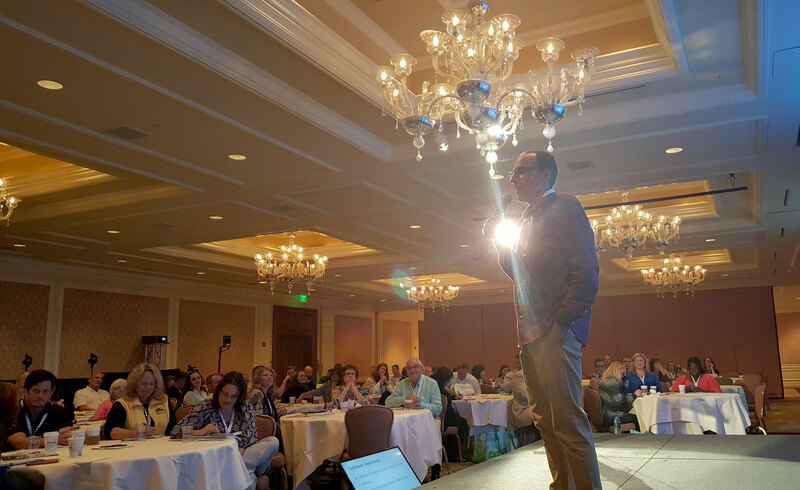 These highly-rated sessions covered everything from vacation rental marketing to data analytics to real-time housekeeping and maintenance technology. Although positioned on the last two days of the conference, the workshops provided the bulk of the hands-on training provided at the conference. Because, as much as the conference was about amazing presentations by keynotes and big technology reveals, it was just as much about providing training to partners that they could immediately leverage to grow their businesses. For many of our partners, Friday marked the end of an unforgettable week in one of the most beautiful places in the world. But, for a select few die-hard partners and LiveRez team members, it was on to New Orleans for the 2015 VRMA Annual Conference. In fact, yesterday the momentum created at the Partner Conference was already being felt at the VRMA Conference, as LiveRez opted to have its partners give its gold sponsor speech at the conference. VRMA Board Member and Topsail Realty President Mike Harrington echoed the sentiment of the attendees, calling LiveRez’s speech “The best (presentation) I’ve seen at any conference.” You can read more about what happened in New Orleans in an upcoming post. 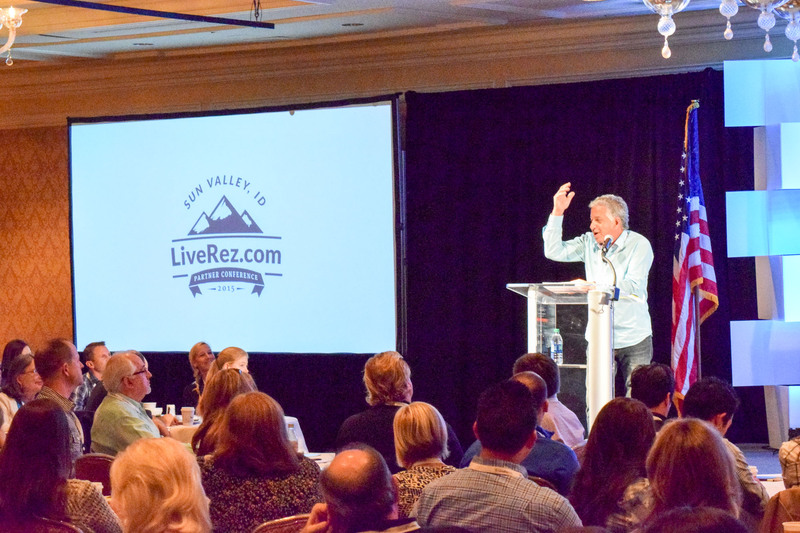 In closing, we want to thank all of the amazing partners, sponsors, speakers and friends of LiveRez that came out to Sun Valley for the 2015 LiveRez Partner Conference. We are truly humbled by your kind thoughts and words these past days and are blessed to call you all friends. Here’s to another amazing conference! Thank you all!